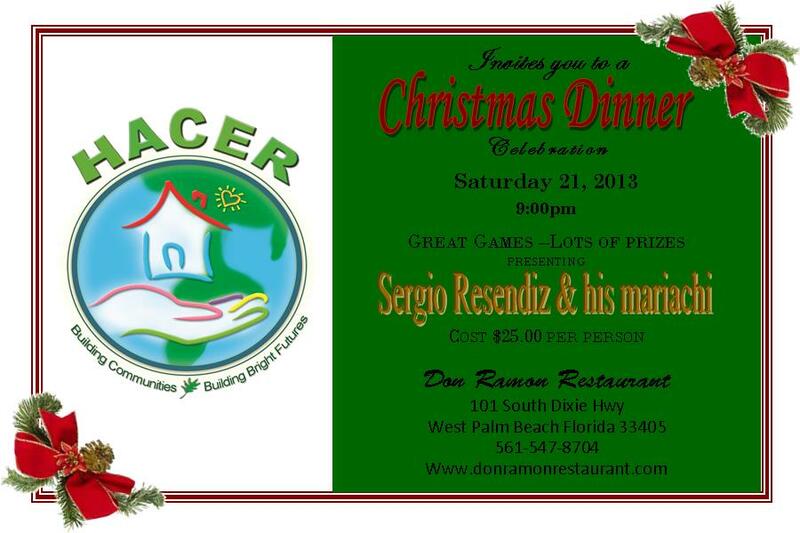 Join us on December 21st at Don Ramon (Dixie Hwy) to celebrate H.A.C.E.R. Ministry. Come enjoy great food and mariachi music by Sergio Resendiz & his Mariachi. We will have drawings and games where you can win one of many prizes. More games will be played and many more prizes will be available. Come out and have a great time. $15 each or 2 x $25. Chose your option below and make your purchase through our secure server. No credit card required.